Stefano’s research focuses on the political economy and effectiveness of environmental policy. He has worked on waste and carbon taxation as well as more broadly on cooperation in the climate commons and the diffusion of climate policy. 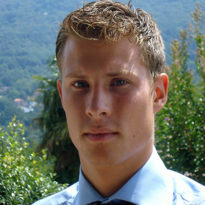 Stefano has a PhD in Economics from the University of Barcelona. He previously studied economics at the University of Lausanne and socio-economics at the University of Geneva. He is also a researcher at the Haute école de gestion in Geneva. Green taxes in a post-Paris world: are millions of nays inevitable? How green are green economists? What drives social contagion in the adoption of solar photovoltaic technology?